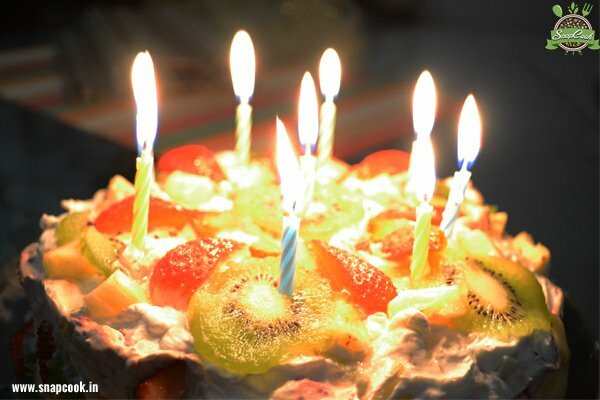 Eggless Fresh Fruit Cakes are present in birthday parties and weddings. You can make it your own with easily available ingredients at home. Enjoy a delicious baked dessert that is ideal for vegetarians and very light, fluffy, creamy and very healthy too. Decorate it with your favorite and seasonal fruits. Meanwhile, sieve maida, soda and baking powder all together and keep aside. Combine the sugar, oil and curd in a deep bowl and beat well in one direction using a whisk or hand blender. Add dry fruits and cherries in batter and put some into bowl before placing the batter. 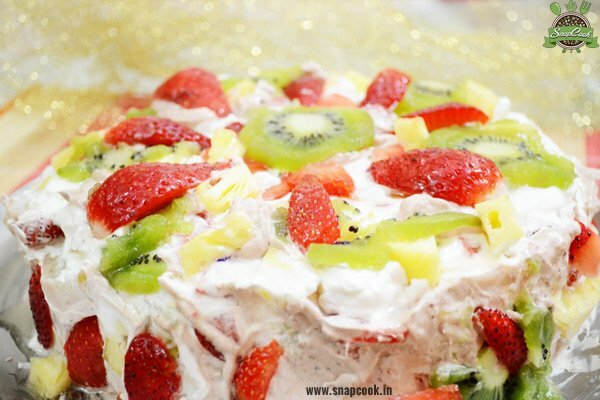 Chop fruits, and mix it in whipped cream. 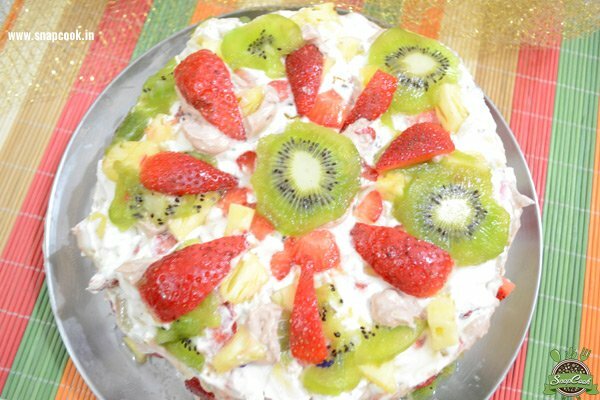 Now decorate it with fresh fruits of your choice. Now add sugar syrup over it. How to make whipped cream from fresh cream? How to make sugar syrup? Boil 2 tablespoon of water with 1 tablespoon of sugar until the sugar gets dissolve. You can also add fruit essence of your choice instead of vanilla essence, if you don’t like vanilla flavor. Cut the cake from middle into two parts and spread whipped cream there also to make layered cake.